Nearly 40% of accident victims may develop Post-Traumatic Stress Disorder in the year following an accident, according to a study among survivors of serious motor vehicle accidents (those requiring medical attention) conducted by two Albany-area doctors. The American Psychological Association (APA) published their findings in 2003 in a book titled After the Crash: Assessment and Treatment of Motor Vehicle Accident Survivors. The trauma one experiences during an auto accident can often lead to changes in mental condition that are known in a court of law as psychological injuries. This is defined as a mental condition that relates to an event that becomes the subject of a lawsuit. Psychological injury may or may not be accompanied by the diagnosis of a mental disorder, and effects may be temporary or lead to lifelong difficulties. These circumstances usually involve mental harm, impairment, damage or dysfunction that resulted from anothers negligence. Often, a victims daily life may be changed forever. Unfortunately, psychological damages are often underestimated. If you or someone you loved suffered injury to the psyche because of the negligence of another party, you may be entitled to compensation. 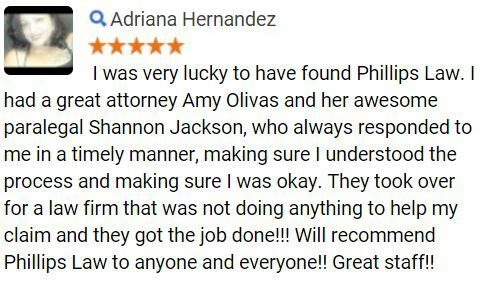 Phillips Law Group believes that those responsible should be held accountable. 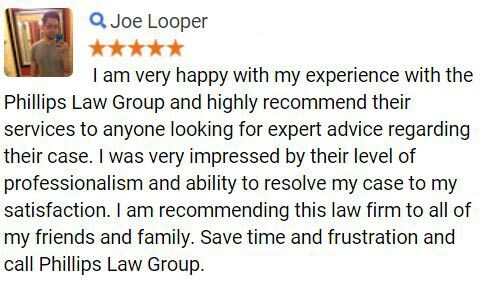 Learn how we can help you Fill out the Free Case Review form at the top of this page to be contacted by one of our professionals. Victims of an accident respond to trauma in different ways, and the range of symptoms that may be experienced includes more than can be listed here. In many cases symptoms will subside, but may be triggered by sensory and situational factors later in life. If you have recently suffered trauma and you are experiencing any of the symptoms listed above, it is recommended that you seek medical treatment and the counsel of an experienced attorney. Chronic Pain although controversial in the psychology field, chronic pain is classified as Pain Disorder Associated with Psychological Factors (with or without a Medical Condition). Some approaches consider the way psychological factors such as stress act on the body, specifically through pain. Patients experiencing this type of trauma are often further distressed by the prevailing (but antiquated) belief that such pain is all in the head. Psychologists can help patients through education and treatment designed to improve the way the victim copes (mentally and physically) in the face of stress. Traumatic Brain Injury in cases of strong injury to the skull, a traumatic brain injury (TBI) occurs when the brain impacts the skull. This can lead to different types of brain damage; the resulting difficulties in resuming daily life often lead to psychological problems. Post-Traumatic Stress Disorder PTSD is an extreme anxiety disorder usually resulting from extreme trauma which may or may not involve the threat of death to the victim or a loved one. 17 major symptoms characterize PTSD, from flashbacks and nightmares to emotional avoidance and hyper-vigilance. Signs can exist when a person is asymptomatic as well, such as trouble in work or school, problems maintaining friends and difficulty enjoying leisure time. This diagnosis occurs frequently among military personnel, and is estimated to occur in nearly 30% of individuals after a serious auto accident, according to a report released in Australia by Monash Universitys Accident Research Centre in 1999. Unfortunately, the University also found that approximately 13% of these cases will become a lifetime affliction. Acute Anxiety Disorder several types of anxiety disorders exist (PTSD is a form). Acute anxiety, which may include phobias, panic attacks, obsessive-compulsive behavior or situational anxiety, occurs when a person excessively experiences worry, apprehension and sometimes crippling fear. Monash University reported this disorder occurring in 13% of individuals after a serious car accident, persisting as permanent in nearly 6%. Driving Phobias in many cases, a person will feel anxiety when it comes to the idea of getting back into a vehicle. Some individuals are plagued by nervousness to be a passenger in a car, much less willing to get into the drivers seat. This type of phenomenon occurred in 15% of Monash Universitys subjects, and persisted as a lifelong disorder in nearly 7%. After the Crash estimated that more than 90% will develop some type of driving reluctance after an accident. Major Depression unfortunately, a victim can experience one or all of these psychological injuries, and the most frequently co-occurring disorder is depression. Depression may have existed prior to an accident and be intensified in the aftermath, or depression could stem as a result of the above psychological injuries, the death of a loved one or despondency related to other details of the accident. Major depression coincides most often with PTSD; 53% of those who developed PTSD in the study detailed in After the Crash suffered from major depression, with 10% being clinically depressed at the time of their accident. Monash University estimated that approximately 14% would develop major depression in the aftermath of an accident, whereas 6% would suffer long-term. If any of these psychological injuries may be affecting you or somebody you love, it is important to seek treatment. Physical and psychological symptoms may be treated through the care of a physician or psychology professional. If you plan to pursue compensation for your injuries, medical records will provide strong documentation for your case. Psychological damage can be crippling to an individual and those who depend upon the victim. The delicate nature of such injuries requires a compassionate personal injury attorney with knowledge and experience in litigating mental anguish. 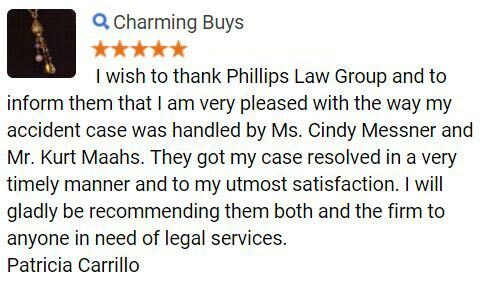 Phillips Law Group is here to help. We proudly fight to defend the rights of injury victims like you. If you have been psychologically injured in an Arizona auto accident, you may be eligible for financial recourse. Our legal team has the expertise to represent you. Find out if you have a case today by calling or texting 1-800-706-3000. Learn about your legal rights and how we can help you. 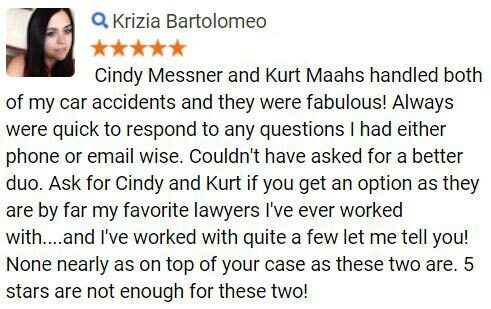 Fill out the Free Case Review form at the top of this page to get started.